Sidford is a small, vibrant and above all friendly fellowship with between 10 and 20 worshipping every Sunday morning. There is a monthly bible fellowship. It has a strong commitment to outreach with a weekly coffee morning (“Coffee Break”) and several well-supported events during the year to benefit local, national and international charities. 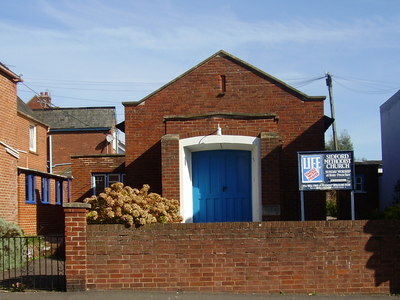 Since becoming a “Class” of Sidmouth Methodist Church 4 years ago it has used this pioneering status to develop its premises, thus enabling the outreach mentioned above. It has strong links with St. Peter’s Parish Church in Sidford. Coffee Break provides continued fellowship for regulars and visitors. This is held every Tuesday between 10.00am and noon. All are welcome. The folk at Sidford have produced a 2019 calendar featuring the local churches and activities.